Inspired by the 1978 blockbuster movie, Halloween video slot is an innovative game packed with huge multipliers and lots of action! In fact, very much like the iconic movie, this game will keep you on the edge of your seat as you play. Not only because the game frequently plays chilling scenes from the movie. But also because the combination of features makes for a slot packed with tricks! So, if you have a thing for big wins and vintage horror film, then this is one game you should try! 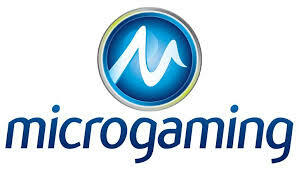 Plus, keep in mind that, Halloween is a Microgaming slot. So, it’s an easy game to find in the lobby of casinos that offer bonuses to players. Before we dive deeper into the game’s feature. We think it’s important to touch upon the progressive reels (or Wondering Reels) we’ve mentioned above because this terminology is perhaps new for some of you. In fact, Wondering Reels are simple to understand. Know that an automated reel selector frequently accompanies this feature. So, when the selector lands on specific reels, well they’ll display additional rows. It’s simple right! But in the Case of Halloween video slot, the Wondering Reels gives you more, since they can display colossal symbols too! Now, let’s look at the juicy features this slot offers! You’ll activate the bonus wheel with the help or 3 or more bonus symbols. The Trick or Treat wheel can either award you an instant coin win with multipliers, trigger the 9 Free Spins bonus with Colossal symbols. And lastly, the wheel can also reward you the Boogeyman Pick n’ click bonus. Is only triggerable via The Trick or Treat Bonus Wheel. To sum up, after the wheel stopped on a Boogeyman symbol you’ll play a pick n’ click bonus where you’ll reveal an instant coin win with progressive multipliers. Indeed, know that every correct pick in the Boogeyman bonus will see the multiplier index increase by 1. And will continue to increase with each lucky pick or until the max multiplier (20x) is awarded. Honestly, you can’t go wrong if you play Halloween since it’s thrilling in many ways. Plus, its high multipliers, wide bet range, and many paylines mean that this slot is attractive for players who like to take risks. This video slot is accessible via multiple devices including Mobiles, Tablets and PCs. But, it’s better to play it in the dark for maximum chilling effect. Have fun!